Bored of having a monotonous username for your handles and accounts on websites and forums? Looking out for a change that really personifies what you are and what you do? Let me help you in this regard. In this write-up, I am listing down some of the best username generators that can help you with usernames that really represent you. There are hundreds of username or screen name generators available in the market today. You have at least one for every category that you can imagine. There are ones for nicknames, superhero names, random names, clan name and so on. I have gone through many of them to find out what username generators are best. Here is my compilation of 7 best username generators. Spinxo is one of the most popular username generators that you can find on the internet. All you need to do on this platform is provide your nickname, things you like, your hobbies, your favorite numbers and some random words that really represent what you are. Once all these information is fed in, you have to just click a button to generate awesomely personalized usernames for your accounts. For every SPIN you will receive up to 90 usernames to select from. Pick your choice and say no to droning usernames anymore. Additionally, Spinxo also has a separate provision for generating Instagram names, YouTube names, Game tags, Tumblr names, Contest names so on and so forth. 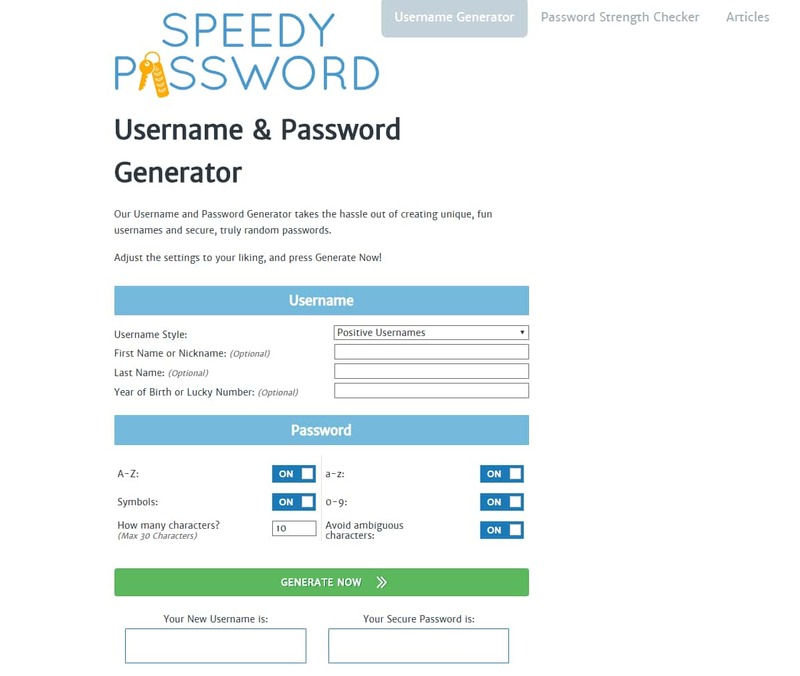 Speedy Password is a tool that not only helps you with your username ideas but also generates very strong passwords for you and that too without any hassles. With respect to the username, you have multiple username styles to select from and options include – positive usernames, negative usernames, heroes & villains username, basketball usernames and more. Select a style, key in your First and Last names along with your favorite/lucky number and with the press of a button, magic happens. Likewise, you can generate almost impregnable passwords with Speedy Password. You have 6 fields to key in – 4 checkboxes, one each for A-Z, a-z, Symbols, ambiguity flag and 0-9 and No of characters you want in your password. Once you have provided all these information, with a click of a button your tough password is ready. If you already have a password generated, you have provision to check its strength with a Speedy password. If you are a frequent and active internet user, I recommend you to book market Speedy Password for sure. Jimpix too like Spinxo is a well-known username generator. Although, it is not as elaborate as Spinxo in taking your information for username generation, but does a good job in generating personalized usernames. Jimpix’s dashboard is very simple – all it takes is your name and allows you to pick a category that suits the platform where you will be using the generated name. Some of the important categories include – random, jobs, countries, brands, adjectives and others. With each username generation process, you can expect at least 70+ username generated for you. Just pick your choice and proceed. 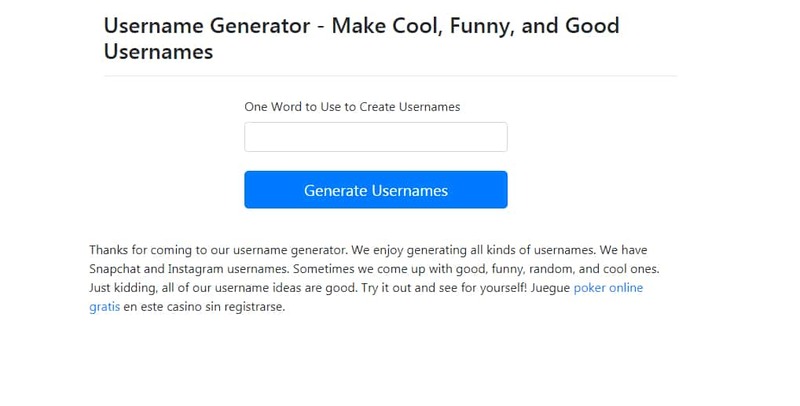 Namegenerator 2 is a random username generator and can generate creative usernames for all kinds of accounts including Twitter, YouTube, and others. You can also use Namegenerator2 to generate creative and unique email addresses for your new accounts. Namegenerator 2 is very simple to use, all you have provided is a suffix and a prefix which is fed into the system to generate many usernames for you to pick from. The part that I liked the most with Namegenerator2 is that it has a separate field to place your favorite names, which you can later refer to. Furthermore, you also have features to generate YouTube names, Twitter names, Surname, Kingdom names, Town names, City and Country names. You simply can generate creative and personalized usernames within seconds. 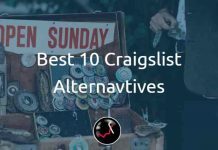 Rum & Monkey is a unique username generator as it has thousands of options to choose from. 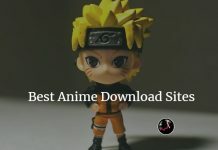 Some of the well known and interesting categories of name generators they have in their kitty include – simple name, military code name, ancient green name, minion name, Korean name, magic name, assassin name Japanese name, DJ name and many more. You must definitely try this if you are looking for some funky names for your profiles. With best username generator you can simply generate an identity for anything and everything you can imagine. They have more than 300+ name generators catering to a different aspect of one’s username requirements. Categories vary from simple name to weirdest name to Instagram profile names. To be honest, it is more or less like Rum & Monkey, but with lot more options. This is probably the simplest of all username generators that I have come across. All you need to key in is a single word that personifies you. Just key in that word and in a click of a button you have over 100+ usernames in front of you. One thing that I hated the most is that some names really did not make any sense. I felt the username generation algorithm is a very basic and only does add prefix and suffix to your name. However, if you are looking for a quick and simple way to find usernames, you can definitely try Templarisland Group. 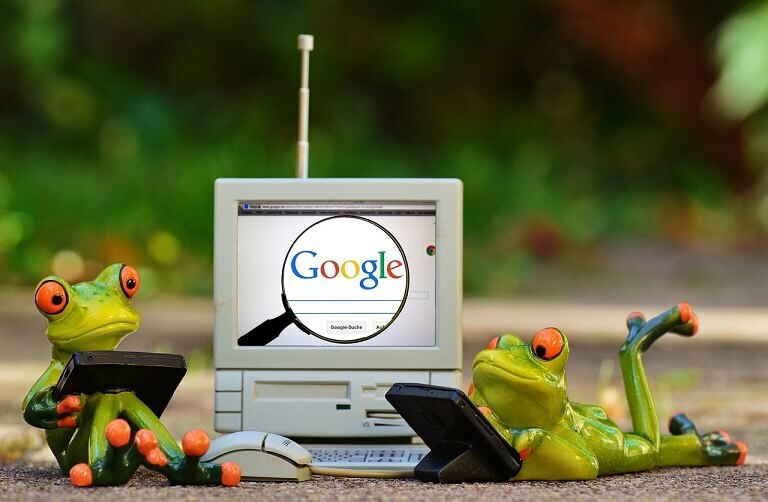 Remember, brand recognition is the key to be well known in the internet space. In order to build a name for yourself with an internet community, be it on forums or social media, it is imperative to have a catchy and recognizable username. Take help of username generators as there are many waiting to be tried, to build your identity on internet platforms. Hope our compiled and reviewed list of best username generators will be helpful. If in future somebody asks you ‘what is in the name?’ I am definite that your answer would be ‘Everything’ after using these screen name generators.